Xiaomi has been among the select few Android OEM brands that offer extended software support to devices that are way past their update cycle. Even if the updates aren’t always timely, the Chinese tech company always delivers, but in the case of the Redmi Note 5 Pro, Xiaomi has gone all out to provide the latest Android 8.1 Oreo update and even fixed issues that were reported regarding it. After the release of the three Xiaomi Mi 8 variants this week, the company also unveiled the plans for MIUI 10 ROM release and listed the Redmi Note 5 Pro among the early recipients of the upcoming software update. 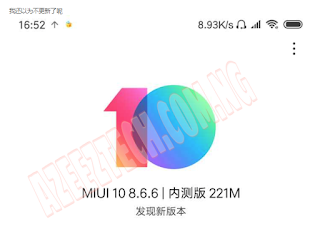 While the MIUI 10 update version 8.6.6 for the device is already out, it is limited to only a select few who have taken part in the closed beta program in their home country of China. Fortunately, you can get your hands on the Recovery ROM file, and flash it directly to the Redmi Note 5 Pro in any region to test out the goodness that is about to come with the release of MIUI 10. While the OTA ROM file has been made available as well, it would only work if your device is enrolled in the closed beta program that is currently limited to Chinese users. Install the TWRP recovery on your Redmi Note 5 Pro first. Install the MIUI 10 8.6.6 ROM using TWRP recovery. Do let us know if you need any help regarding MIUI 10 update on Redmi Note 5 Pro using 8.6.6 ROM.